We are very pleased to announce that Varsha Maistry has joined our team! Varsha joins us as our sixth specialist employment solicitor and will be based at our head office in Reading. 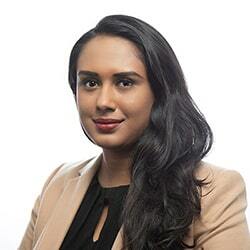 She previously worked at a full service commercial law firm in Central London as well as in the employment departments of a leading London human rights law firm and international corporate law firm.